Anyone who REALLY knows me will know that I have a real affinity with music. I used to sit on the Internet, sometimes till 5 in the morning, because I was so busy finding new bands and artists. I spent a majority of my money on gigs and concerts where I was always front and centre of the action. I spent years of my life performing and training my voice. I planned on studying music at university and visualised playing little crusty venues in order to get myself to where I wanted to be. There was rarely ever a moment where music wasn't surrounding me and I planned on it being a big part of my life for the rest of my life. I had a soundtrack to my life and it was carefully chosen music that I had spent a lot of time finding. It has been years since I've been to any sort of gig or concert, the only time I sing is in the car or a quick lullaby to put my baby to sleep and I always seem to default to listening to the radio in the car which is usually rubbish. The funny thing is that I had made my peace with it. Life had happened and it seemed as though that part of me was now only a very small part and as my new identity as Mum and wife that there were more important things to do and new outlets like photography had brought me some of the joy that I had lost along the way. 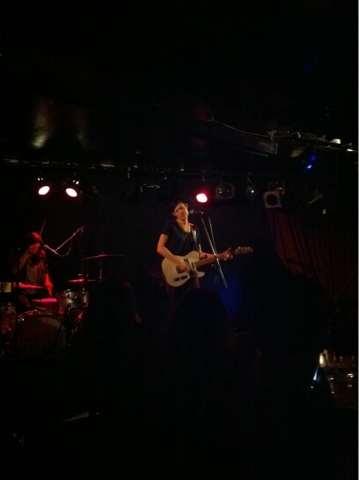 The other night, the hubby and I left our little ankle biter with the in-laws and made our way to see Butterfly Boucher at the Brass Monkey in Cronulla. I had been really looking forward to it and had wanted to see her perform live for quite some time but the exhaustion from the day was making the couch look soooo good! We made it there and can I just say wow! It was like a light that had been switched off inside of me for so long was suddenly ablaze and I sat there hanging on every moment of the performance. She was amazing and it reminded me of the passion that I once had. I kid you not! I wanted to jump up on the stage and grab the microphone, Tony Karaoke style, since I didn't know half of the words! haha! It was a small and intimate gig and so I was able to speak with her afterwards and gush to her about how amazing she is. I'm such a dork! I don't have plans to make a singing career for myself but I do plan on going to many more gigs and to awaken that side of me. It makes me feel young and silly and carefree and that EXACTLY what I need right now.